Mayor Kriseman, it appears, has fallen into the same trap as his predecessor. The Mayor seems so determined to pull down the inverted pyramid, that he will say and do almost anything to accomplish his goal. 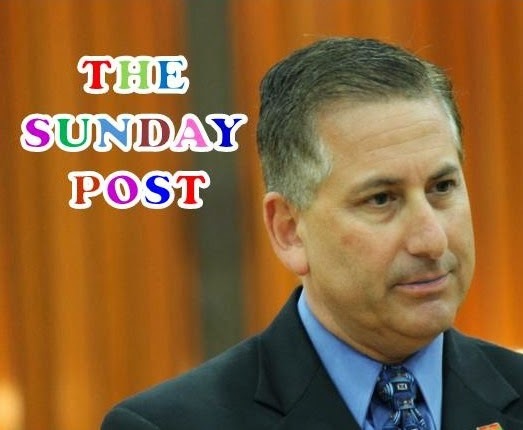 The most recent debacle, Kriseman's supposed "personal" Facebook page supporting Pier Park censored critical comments according to a saintpetersblog Post by Janelle Irwin: Rick Kriseman is censoring Pier comments on his official Facebook page. Kind of makes one wonder who is really writing and editing the Mayor's Facebook page. Why is the Mayor resorting to his personal Facebook page to push a political agenda? Neither former Mayor Bill Foster nor current Mayor Rick Kriseman can seem to provide the type of mature leadership a project of this magnitude needs. It is now up to Council Chair Charlie Gerdes and the rest of the City Council to put some sanity into this process. City council members need to carefully observe the actions of the Mayor and his staff. If they vote to move Pier Park forward to the negotiation phase, there is little doubt there will be a deal. The question will be what is really in the deal? Given the passion of Kriseman, Connors and Ballestra, to name a few, to tear down the inverted pyramid, the possibility of getting a clean deal on Pier Park negotiated behind closed doors seems highly unlikely. The contract and the detailed plans will be lengthy and complex. The opportunities to show one thing and say another are almost endless. Council should force the contract negotiations into the Sunshine and allow the public to review the terms, conditions and loopholes the administration builds in. Connors likes to throw Skanska round as the cop on the beat watching everything, but the fact is Skanska knows where their bread is buttered and the possibility of them crossing Connors on any decision is highly unlikely. Every report they give will be filtered through the administration and Council will hear only what they are supposed to hear and see what the administration wants them to see. Council needs its own owner's rep that they hire and reports directly and only to them. Even that may not be enough to keep up with the closed door deals, nods and winks that will be necessary to get this project completed. Given the near panic level of the Mayor to get Pier Park done, he and his staff will agree to almost anything to get the deal. That leaves the taxpayer on the hook for the Mayor's "damn Pier" that a seeming majority of them don't want.